In 1951 Frances Sobczak Kaszubski won a bronze medal for the U.S. in discus at the first Pan-American games, which were held in Argentina. Her success, however, was not the end of an easy path. "My mother tried to discourage me. She and dad both wanted me to be lady-like. But I persisted. We lived next door to Sokol, the Polish Falcons Hall, on Broadway at 72nd, and I finally talked them into letting me become a member. They even let my younger sister join also. Because we were so close, my mother believed no harm could come to us and she could keep her eye on us." Thus began the athletic career of Frances Sobczak Kaszubski, who was born in 1916. "Once a year the public schools would allow girls to have a track meet. Stella Walsh, who was enrolled in Cleveland South High, at that time on Broadway, was clocked at such a fast time they didn't believe it. We had to run a second time so that they could change clocks. And again Stella Walsh ran so fast, that all of a sudden the downtown Board of Education started to think of her in terms of the 1932 Olympic games. They tried to hurry up her citizenship. Poland made it possible, however, for her to represent the country of her birth. She competed in 1932 and won the gold medal for Poland." Sometimes Stella Walsh would stop in at Sokol, where Frances met her. "After Stella Walsh won the gold medal for Poland in the Olympic games in Los Angeles, she would come to the Polish Falcons occasionally and that's how I got to know her. "The Polish Falcons had a closed membership competition on the local, regional, state, and national levels. You couldn't play basketball in the Polish Falcon gym because it was too small: the gym was the size of half a court." The Falcons, however, excelled in gymnastics, which was performed to Polish music. It was at the Falcons that Frances first learned field and track. But there were obstacles for women athletes in those days. "Harriet Fitzpatrick was one of thirteen women who left the AAU because they wanted to be the ones who would select the girls' teams, not only select them but accompany them as chaperons and managers. In the years after they left the AAU, this group of thirteen spread an anti-competitive philosophy that claimed women athletes could not have children. Harriet Fitzgerald made it known throughout the Cleveland School system--in fact all Northeast Ohio--that if you competed on such a level you could never have a child," she recalled. In fact, Frances remembers one girl was so good at sports, "her parents made her join a convent to prevent her from playing basketball." "I never worried that Harriet was right. Dr. Al Marcus, was the official physician for the entire Cleveland public school system, mainly for boys. He sort of treated me as his daughter. He attended the games and encouraged me to participate. But most of the parents believed Harriet Fitzpatrick. Kaszubski remembered how field hockey developed for girls. "In all the good schools, the girls played field hockey, and private clubs sponsored the teams," she explained. These clubs were sustained by their own funds. Parents had, more or less, created the field hockey clubs. The local girls were not doing as well as other cities, however. Everyone wanted the girls to perform better in field hockey, so they permitted the teams to have just a wee bit more than a once-a-year track meet." So the girls in this sport performed better. Women athletes in field and track events, however, were neglected. Frances Kaszubski played basketball for a team that went on to compete in Edmonton, Alberta in Canada. That team was coached by Barclay Sanders, who was the Basketball Coach (for men) at Baldwin College. Flora Graham, his wife, who worked for an attorney downtown, talked him into coaching the team that was invited to Edmonton and also into letting her join the team. "Sometimes we were able to practice in the BW gym," Frances said. "It all depended on what Flora arranged. Information about our practice, however, was kept from the school. If Harriet Fitzpatrick had found out," Frances emphasized, "she would have made certain that Barclay Sanders would lose his professional career." When they played basketball in Canada, the rules were different. "We played the same size court as the men," she explained. "After every basket, we would return to the center of the floor and there would be a jump ball. It was a fast game. In Edmonton, I scored 7 points in 30 seconds. The Canadians offered me a college scholarship, but I felt I had to work. I always felt that my family--my parents, my brothers, my sisters-- needed me to look after them. I always had at least two jobs, one regular and one part time. I was the second born in 1916. I had five brothers and sisters; one died in kindergarten." But Kaszubski continued to play basketball. In 1943, she was named national AAU center. In 1948 Frances was a member of the U.S. Olympic team in both shot put and discus in London. "A French girl won. You see," Frances explained, "this girl was not under the jurisdiction of Harriet Fitzpatrick! I remember a girl from Greece, who came over to me and said, what are you doing here? You don't know what you're doing? I was much hurt. In Europe, they didn't have to contend with that philosophy about not being able to be a mother. "At the time - it was during WWII - Mussolini had hired an American male coach called Boyd Comstock, to make the Italian athletes better than all others in the world. When Comstock returned to the U.S., Dan Ferris, the Secretary-Treasurer of the Amateur Athletic Union (AAU), asked Comstock to teach me the fundamentals of running, jumping, and throwing. His purpose was not to help me compete so much as to be able to teach other women. Comstock agreed. I used to fly Capitol Airlines once a month to Washington D.C. for a full 8 hours of instruction. "Comstock was definitely a good teacher," she emphasized. "He showed me how golfers swing their hips and how the rest of the body follows. He was quite a gentleman. His wife would pack cheese sandwiches for us so that we would not lose time by having to come back to eat. So I got as much of daylight as possible. I never will forget the things he taught me and demonstrated. When I returned home, I would write all of that down so I would not forget. I studied under him for a good twelve months." In 1945, 1948, and 1950, Frances won the National AAU shot-put. 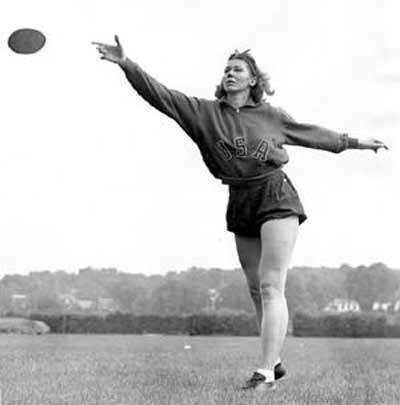 She won the national discus crown in 1945, 1947, 1948, 1949, 1950, and 1951. The AAU ranked her All-American 13 times. Anyone that talks to Frances Kaszubski will find her constantly return to Harriet Fitzgerald and her influence. "She and the group of thirteen were in key positions in the American public school system," Kaszubski explained. "One was at OSU. The athletic director at OSU wanted to bust up the AAU. He asked me to publicly announce that the AAU was not qualified to be in charge of women's sports. If you make that statement, he said, I will open the doors to all public schools in Ohio. I told him then I could not do that because the AAU - with Dan Ferris in charge - it never let the sport die." "And later I had my revenge," she announced. "I was able to have girls trained at Tuskegee Institute and Tennessee State. The state department arranged for a competition between the U.S. and Greece. I did not personally compete in Greece. I was a coach, manager, and chaperon. All the girls were black except one white girl from Chicago, who had enrolled in Tennessee State for the benefit of the coaching. And, Holy Toledo, the Americans won! "When word came on the wire to the U.S., the American news media thought it was an error. It was the custom in Europe for men and women scores to be tallied together." The American men's section objected vociferously to that custom, she emphasized. "The Greeks agreed to keep the scores separate. But the scores were combined when we got there. And that's when the American coaches decided to go all out and put an end to this anti-competitive philosophy of Harriet Fitzpatrick and her teaching that women athletes can't have a baby. Frances was 36 years old when she had a child. She speaks with great pride of her giving birth to a son. She added, "I have to tell you. My son changed his name to Kase because when they needed him at the airport, where he worked, they would say "Mr. Kase," because they couldn't pronounce his name." "Because of what went wrong in 1948 in London, I raised much hell here. But I have long forgiven the woman in charge of us in 1948. She was a swimming coach." 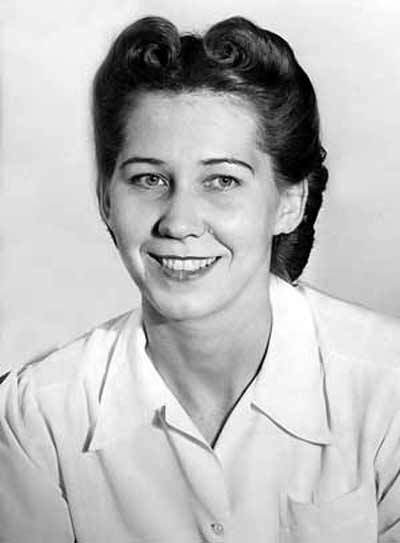 In 1951, Frances Kaszubski won the bronze medal in the Pan-American Games. Later in 1959, she managed the U.S. women's track team for the Pan-Am Games. In 1960, she managed the U.S. women's track-and-field team for the Olympics held in Rome. For seven years, she was the national AAU chair for women's track. In 1945 she began a long term as secretary to E. C. Ryan, Treasurer of Fisher Foods. "It was part of my job," she explained, "to work with as many Cleveland recreation centers as possible. The Cleveland Board of Education, under the supervision of Harriet Fitzpatrick, had a Pigtail Program for girls softball and basketball), and I was asked to direct it. They named it 'Pigtail' because Harriet didn't want masculine names. Fisher Foods had been known for its men's teams and the slogan 'Champions of Good Living.' Thousands of girls were in this program." Kaszubski was more than an athlete and trainer. She had organizational skills that benefited many women athletes. From 1948 to 1960, she brought together three national organizations: the association of women's physical education teachers, the Amateur Athletic Union (AAU), and the U.S. Olympic Committee. In 1960 she was unanimously elected the first woman president of the 43 affiliates of the Lake Erie Association under the National AAU. Elected with her was George M. Steinbrenner as 4th Vice President, she recalled. Secretary-Treasurer was John Nagy, later to become Cleveland Recreation Director. In 1955, both Frances Kaszubski and Stella Walsh were among seven women track athletes named to the Helms Foundation women's track hall of fame. The Cleveland Plain Dealer reported that they were "the first to be chosen by the Los Angeles organization for track prowess...."
In 1976, Frances Kaszubski, famous for her field-and-track accomplishments, along with Stella Walsh, was inducted into the Greater Cleveland Sports Hall of Fame for meritorious service. This Hall is the product of the 1975 Greater Cleveland Chapter of the National Bicentennial Sports Committee, to celebrate the nation's 200th birthday. Each inductee receives a plaque, a copy of which hangs in the lobby inside the Lakeside Avenue entrance to the Cleveland Public Auditorium in downtown Cleveland. [Ed. : The reporter of this article was one of those grateful Fisher Foods Pigtail Basketball players that Frances Kaszubski helped organize at St. Thomas Aquinas grade school. Copyright 2007 ClevelandWomen.Com. All Rights Reserved.